Ingenjörsgeologen Romina Lobos vid boorvagnen, på den plats där den första sprängningen planeras ske på tisdag. CONSTRUCTION. Next week – on Tuesday, February 12 – the first blasting for Naturvetenskap Life will occur. The first charge is expected to go off at 12:30, or 15:00 if the planned blasting at lunchtime cannot be done for some reason. Beginning next week, blasting will occur twice a week, on Tuesdays and Thursdays. Plans call for blasting at 12:30 on these days, and the contingency time is 15:00 on the same day. The signals you will hear in connection with blasting are as follows: Short signals precede blasting. A long signal means that blasting is finished. Please follow the instructions of guards at the site. In accordance with general safety rules, when blasting occurs, you should not stand near windows. 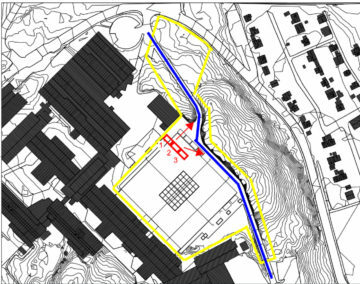 Blasting will start by the red marker on the accompanying map (click on the image to view it in a larger format). The illustration is not to scale, but it shows where the blasting begins and in which direction they are moving during the first stage. Arrows indicate the direction of the explosive force. Blasting work is expected to continue for 18 months. 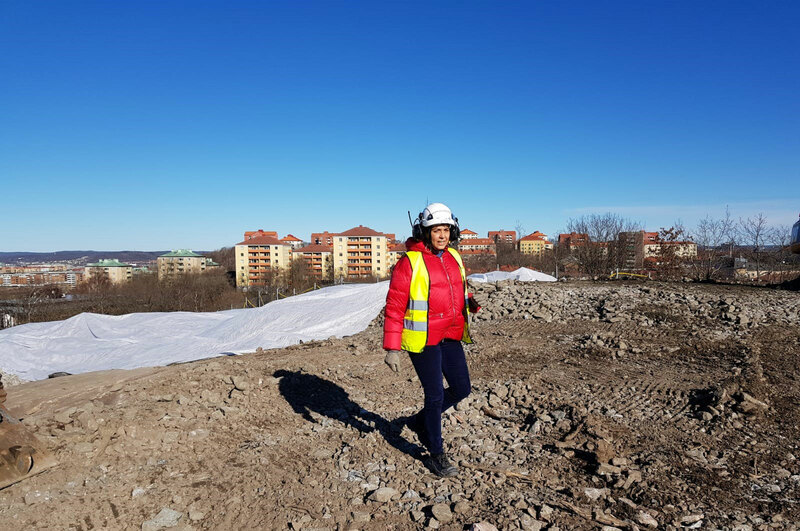 For more detailed information about plans for blasting, see the presentation (in Swedish) by Romina Lobos at the information meeting held on January 17, 2019: https://play.gu.se/media/0_qgviq1zx (We recommend that you view the film in Firefox or Explorer. The presentation by Lobos begins about 11 minutes into the film).